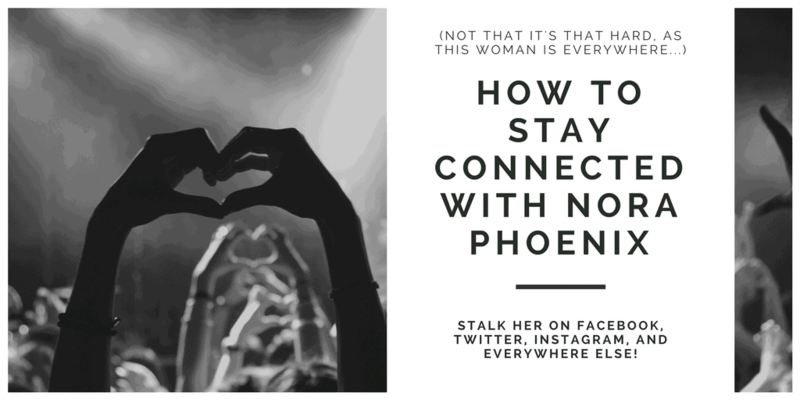 You can find me in various places, so I thought I’d let you know where you can stalk me and stay connected with Nora Phoenix (that’s me! ), LOL. The best way to stay connected is through my reader group on Facebook, Nora’s Nook. I post a few times per day here with personal updates, but I also share teasers, news about upcoming releases, and we have a lot of fun as well with funny memes, games, jokes, and everything else I come across. Every Friday we have a guest author stop by with games and giveaways. We’re at 800+ members and growing fast! I also have an Author Page on facebook that I update almost daily with news about new releases. Right now, if you like my page you can enter into a giveaway for a chance to win a $10 Amazon gift card. Just head on over here, like my page, and leave a comment! There’s my newsletter, of course. 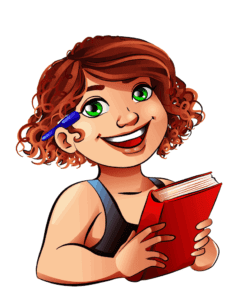 I sent out weekly or biweekly updates with what’s going on with my books, but I also include great deals on gay romances. Yes, I’m also on Instagram, where I share inspirational quotes about life, reading and writing, with the occasional promo and teaser thrown in. Not a lot of personal stuff, in case you were wondering. Jeez, are we done yet? Nope, there’s more. I’m also on Goodreads, where every now and then I remember to review all the gay romances I’ve read…thus filling your newsfeed with, like, twenty reviews at once. But hey, it’s the thought that counts. My plan is to start using Goodreads more actively. Then there’s Bookbub, which is becoming more interactive. It’s a great place to find deals on your favorite authors, so if you haven’t signed up yet (it’s free), please do. Bookbub will sent you weekly emails with deals in your genres and will alert you when an author you like has a book on sale. I think that’s it. Probably. LOL. Stalk at will!